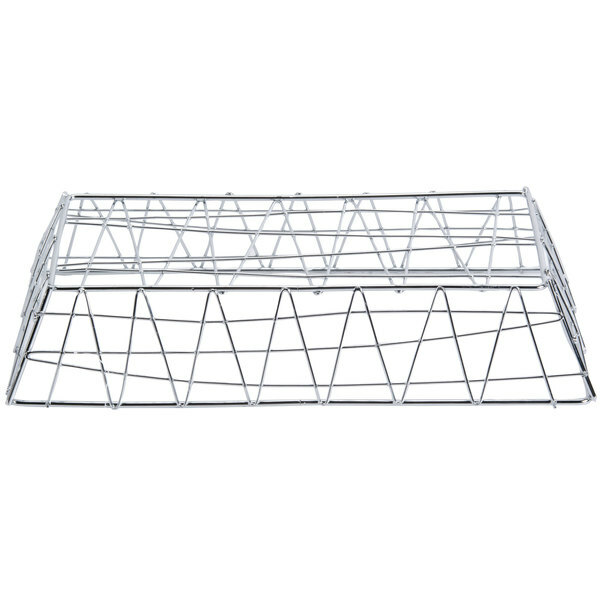 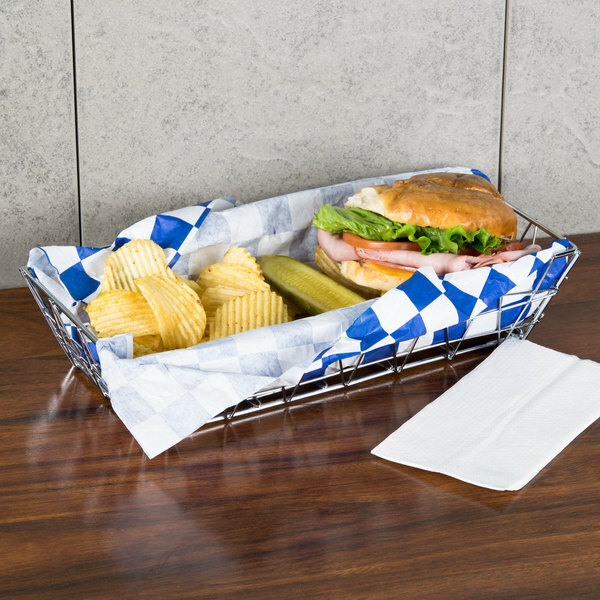 American Metalcraft ROC1362 Chrome Zorro Rectangular Basket - 13" x 6" x 2 1/2"
This American Metalcraft ROB1362 Zorro basket creates dynamic display options for your food service operation. 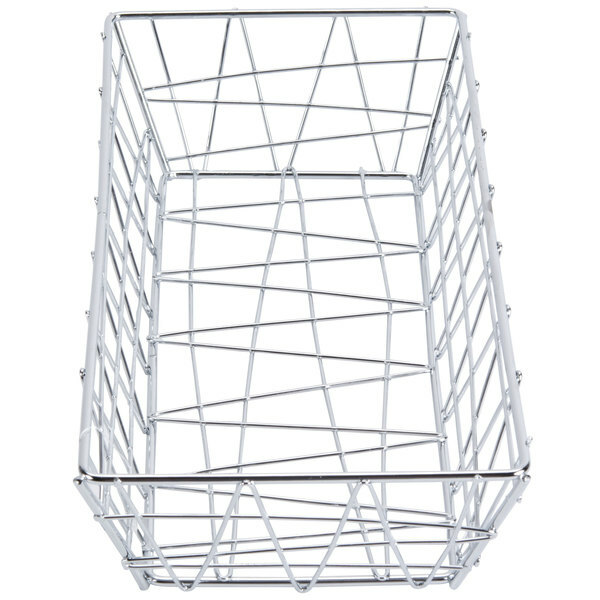 With an eye-catching black finish and zig-zag design, the Zorro basket is great for creating a sleek, modern look at your restaurant. 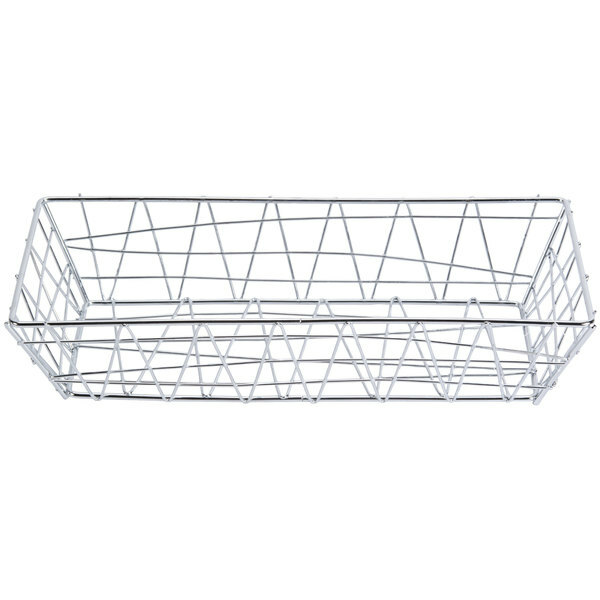 The wide wire basket allows you to be creative and versatile when serving appetizers or snacks, and the sleek, black finish adds to your tabletop display. 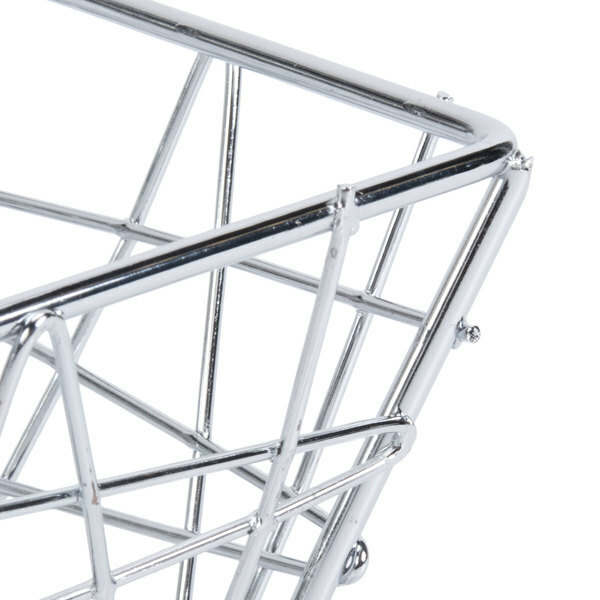 Increase impulse sales during checkout by displaying small items like candy or baked goods by your register. 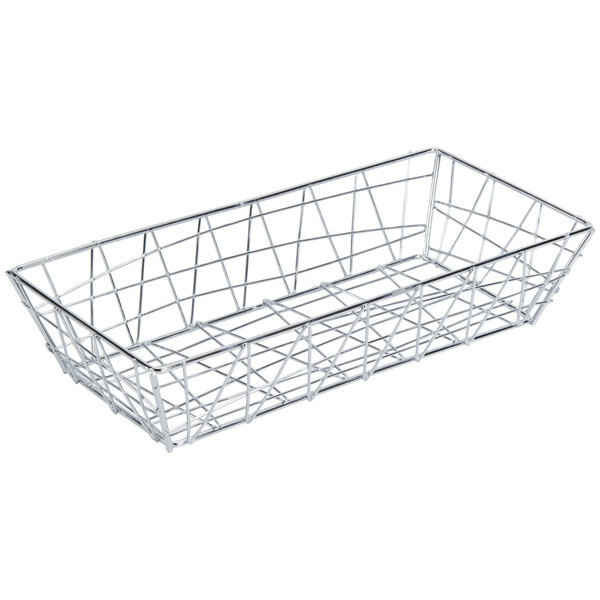 American Metalcraft BZZ95B Black Zorro Rectangular Basket - 9" x 6" x 2 1/2"
American Metalcraft ROB2613 Black Zorro Rectangular Basket - 13" x 6" x 2 1/2"